Currently, we have Us Conductors, The Girl Who Was Saturday Night and All My Puny Sorrows in stock, but the other books can easily be ordered in. Backbeat is happy to announce that all of the shortlisted titles will be on sale for 20% off the cover price until the winner is announced on November 10th. 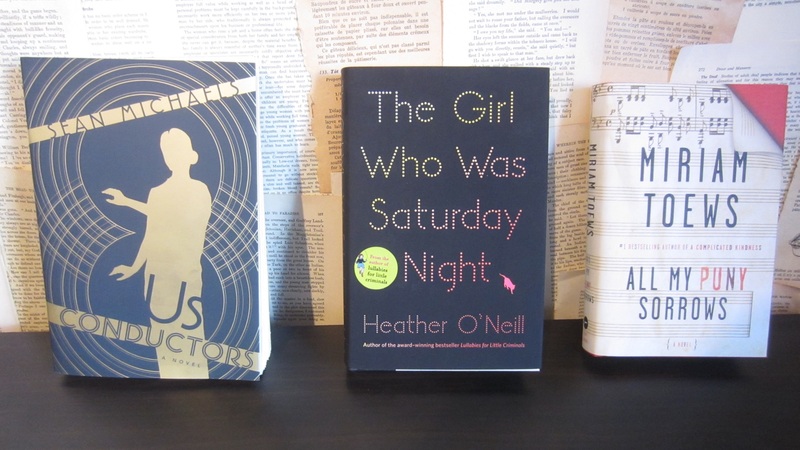 And there’s more good news…we just got news today that HarperCollins will be issuing immediate paperback versions of Tell and The Girl Who Was Saturday Night. The release date for these paperbacks is October 17th, so if you’d like to pre-order a copy, please be sure to let us know!